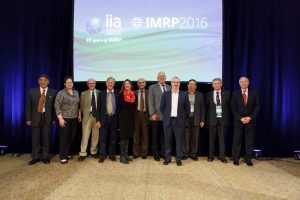 The 40th International Meeting on Radiation Processing (iia) was held two weeks ago in Vancouver, Canada. Nelson Laboratories’ Senior Scientists Martell Winters and Wendy Wangsgard, PhD attended. Winters was the Program Chair and also led a preconference day workshop on dose audit failures. Wangsgard chaired the Healthcare Strand session on radiation microbiology. The discussion covered microbiology vs. math, updates to AAMI TIR35 and TIR17, and wrapped up with Winters presenting more in-depth details on dose audit failures. 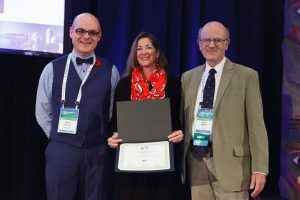 Wangsgard presented a poster on “Validation of a Sterilization Dose for Products Using a 3D Printer.” Her presentation was very well received and earned the Best Poster award. The conference was well attended and Nelson Labs will be attending the next one in two years.